To begin with, I feel like my blog is overly consumed by politics and economics. As the owner of two small businesses, I cannot help but to be overly conscious of these forces in America which challenge me every day in the decisions I make. Theses forces impact my family's financial future, and the future each member of my staff. Each day I gaze across a parking lot full of cars that belong to my teammates. It reminds me that our company's paid out wages make those car payments, puts gas in those cars, and feeds those families. I am constantly burdened by the notion that 100% of the tax revenue collected by our government in taxes goes toward paying the $2.5T in Medicare, Social Security, Medicaid, and interest on our debt. These are all expenses that neither me nor my team get any benefit from. Our tax contributions are going toward funding the unpaid benefits of our forefathers. All other expenses of the federal government including military, employees, homeland security, FBI, CIA, etc equate to $1.3T. New revenue from the Fiscal Cliff deal (Expired Bush era tax cuts) will contribute $600B (Democrat number) to $650B (Republican number) to reducing the $1.3T deficit. Clearly more is needed as we are only half way home. Politicians are shaping the truth about sequestration in the media. Sequestration does not balance the budget. Sequestration does not reduce spending. 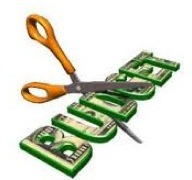 Sequestration reduces spending increases by $85B. 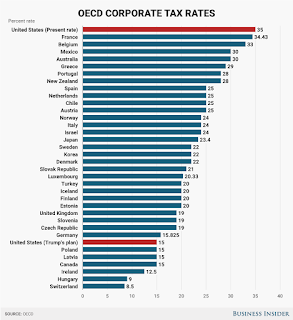 Just do a litte math, and remember: today, 1/2 of Americans do not pay any tax at all. Again - this is little math. By that, there are many implications that are not considered here. Principally, when you increase taxes, you extort spending from the economy and reduce consumer spending - which has an adverse impact to future tax revenue and job growth. This holds true of Sequestration also. Take a careful look at the President's proposal for further cuts. Reduce payments to Drug Companies and Hospitals - $170B - What is that? Encourage efficient care, and ask the wealthy to pay more - $85B - What is that? Increase postal fees and transportation fees - $40B. 40% of an airline ticket is already tax, along with 20% of hotel charges. My biggest concern is the limitation of tax deductions to 28%. It represents another tax in addition to the $650B in Fiscal Cliff tax increases. This is on top of limiting Medicare, Medicaid, and Social Security benefits to America's wealthiest. So here we are at a standstill. The Democrats refuse to cut benefits, and the Republicans refuse to increase taxes. But I ask you this. Should we be focusing on raising revenue and cutting benefits on the wealthiest 1% of Americans, or raising revenue and cutting benefits on the 50% of Americans who pay no taxes and get 100% of the benefits of being a U.S. citizen. First of all, everyone pays taxes, sales tax, property tax, employment tax, excise tax, gas tax and a multitude of other taxes. Not everyone pays income tax, either because they have no income or their income minus deductions puts them below the tax rate. Most of the no pay income tax group are either retires from the private or public sector. So it is not correct that half the population does not pay and yet gets benefits. Things that should be done to fix the deficit and debt. Significantly cut defense spending, we don't need to save the world. Jesus already did that. Cut out loop holes and special deductions for the petro industry. Reduce tax on the middle class. They spend all the money they don't have to send to Washington. The ultra rich sock away their wealth and don't spend the extra amount on goodies. We need more purchase of domestic goodies to stimulate the economy and GDP. Stop subdicizing (sp) the Taker states where they get back more federal funds than they give to Washington. 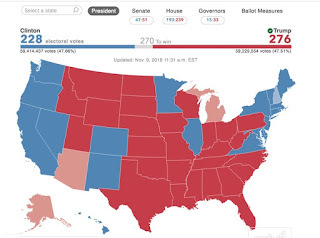 Turns out those are the Red States that voted for Romney. All the Blue states that voted for Obama are Giver states where they give more to Washington than they get back. The Taker states want less government, but they don't mind taking federal monies.